This is for sure the one thing most overlooked when hiring a wedding photographer. In my years of meeting with brides and grooms, only one time have I been asked if I have insurance. One time! The average wedding costs somewhere in the ballpark of $25,000. That is a huge expense for a single day, and what if (God forid) something happens? A guest at your wedding trips over the photographer's light stand and break their leg. The photographer knocks over a candle and lights the venue on fire. These may not be your fault, but if the photographer is without insurance coverage who do you think this guest or the venue names in litigation (yup, probably you since you signed the contract with the venue!). Or let's take another, possibly more likely scenario: the photographer just finished a long, 12-hour day capturing every beautiful detail and moment at your wedding. The photographer arrives home, exhausted, and puts their equipment away in their home office and goes straight to bed. The next morning this person leaves the house to run a quick errand, only to arrive back at home to find that someone has broken through a window and stolen all their photography equipment. And yes, those memory cards with all your photos were still in the camera, now in the hands of a thief. Your photos are gone. Unfortunately, this is based on a true story of another photographer. Fortunately, this photographer had insurance - which paid to recreate the entire wedding day to recapture all those precious moments. This may not be quite as good as the original day, but it is much better than having nothing to show for your wedding. I never get asked about liability insurance and I rarely get asked about backup gear. And to my complete dismay, I personally know a few photographers who photograph weddings with one camera and a few lenses. One camera! Personally, I never show up with less than three cameras and usually 6-10 lenses. Here's the risk - that fancy camera might have an expensive price tag and is generally reliable, but what if it malfunctions? Technology is great, but glitches can arise. Those fancy cameras are also breakable if knocked over or dropped. What happens if that one camera breaks during your wedding day? Is your photographer going to pause the wedding, borrow a camera from a guest or tell you sorry and call it a day? Always alway always make sure your wedding photographer is well equipped with backup cameras and lenses, because you never know when one might break or quit working. First, look for a variety of types of photos in the portfolio - pictures of the bride getting ready, a bride and groom first look, ceremony photos, dancing, etc. Is their a combination of posed and candid? Sometimes a photographer will "pad" their portfolio with styled portrait sessions. These look like they are from actual weddings, but are in fully controlled environments. There is nothing wrong with styled shoots in a portfolio, just make sure that isn't the only thing they are showing you. Second, be wary of a photographer than claims they can shoot in any style you want - vintage, modern, bright and crisp, desaturated and soft, whatever it may be. Maybe some photographers can do multiple styles and do them well, but for most of us photographers our work is a result of our unique, creative expression. There is something natural in parts of that expression. I had a bride excited to hire me for her wedding, and then told me she wanted a vintage, soft look to her photos. We discussed what she meant and in the end I referred her to some other options - it just wasn't my style of photography. Everyone has a personality, but not all personalities are compatible. On a typical wedding day I am with the bride and/or groom for eight plus hours. It is a long and stressful day for those getting married (but, hopefully very enjoyable at the same time!). A photographer's personality plays a role in their ability to control a situation, since something somewhere is going to go wrong during the day (and schedules always get behind). Having someone that you are confident can be flexible during the day, get people where they need to be and will be fun to be around is important. It makes your photography experience all the better, which often leads to more genuine smiles and laughter in your photos. Every wedding photographer should know how to appropriately use flash, both on and off of their camera. I have a friend who hired a photographer that, unfortunately, was clueless when it came to flash. The photographer's portfolio was filled with beautiful outdoor, sunlit portraits. But when it came time for the indoor reception with low lighting... well, the photos didn't turn out so great. Be wary of "natural light" only photographers. Natural light is gorgeous in photos, and is my first choice when available. But not all natural light is good light, and sometimes the quantity of natural light is low. Some photographers use their "natural light only style" as an excuse not to learn how to use flash and end up doing their wedding clients a huge disservice. My goal on a wedding day is to make you look and feel your absolute best, whether that means using natural light or flash. Insurance, backup equipment, your preferred style, an approachable personality and basic knowledge of how to use flash when necessary - these are my five basic things a wedding photographer must have. Do not compromise on these five things; your wedding day is too big and too important to risk missing beautiful photos that will last you forever. If you find yourself stuck and having a hard time finding a photographer who meets each of these five criteria, consider two things: 1) your budget - is it too low and, thus you are unable to hire a true professional? and 2) keep looking! 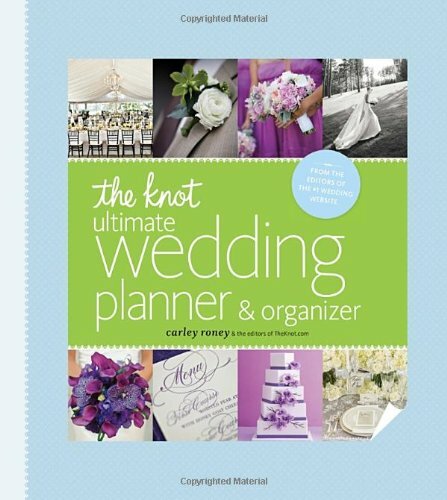 A great guide to help you through the wedding planning process.